I'm sorry I have been absent from the blog this past week or so. Life has been super hectic with my day job and things going on at home. Hopefully we are coming through the other side of them now and we can get back to some sort of normality. I have a secret ...... It's a BIG secret and I am bursting to tell you but I just can't at the moment ...... But lots of things are going on behind the scenes here in "Shabby" land and in the coming weeks I can share with you some of my news. 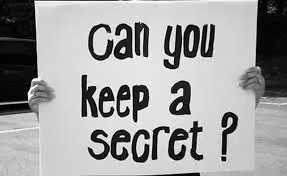 Can you keep a secret? I am normally so good with keeping them but I am really struggling at the moment. Anyway I had best go before I spill the beans .......... I'll be back really soon to show you what I have been up to in the studio.